Kacper Rekawek is the head of the Defence and Security Programme of GLOBSEC, a leading European think tank. Iran’s actions, both domestic and foreign, are driven by this perception, resulting in a confrontational policy that aims to fuel and export its revolution. 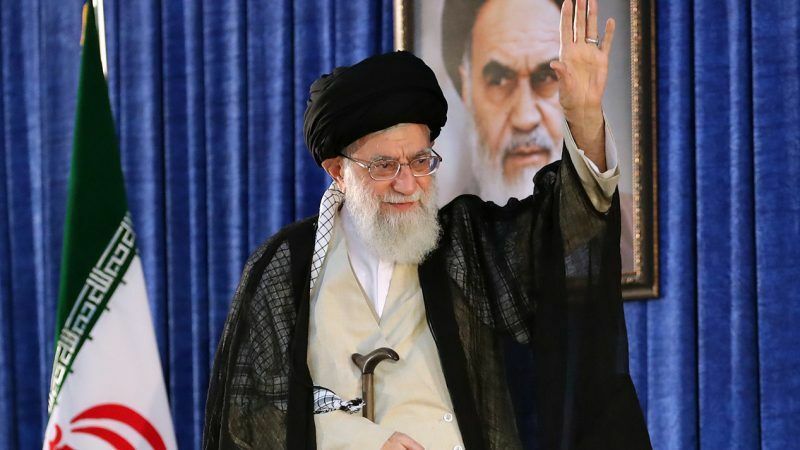 Last week, the Supreme Leader ordered the increase of Iran’s uranium enrichment capacity to improve its nuclear capability, “in case it’s needed”. While this is in theory within the remit of the now crumbling Joint Comprehensive Plan of Action (JCPoA, aka the Iran deal), it is a pointed move that suggests the confrontational policy is set to continue. The recent American decision to withdraw from the Iran deal was undeniably controversial. It also transfixed a plethora of commentators who, almost overnight, turned into security and MENA experts. Accusations of the US behaving irresponsibly or effectively acting like a saboteur were rife. Interestingly enough, many chose to overlook the other saboteur in the equation – Iran. The fact that it abided by the JCPOA, whether you agree this was a good or a bad deal, allowed Tehran to position itself as a constructive agent of change and to conceal its far-reaching imperialist agenda which has destabilised the region for decades. It is understandable that the EU has an interest in preserving a symbolic diplomatic success that aligns with economic interests. However, European leaders should not find comfort in a scenario that ignores regional worries, widens the transatlantic political drift, and enhances the comparative diplomatic standing of China and Russia. Outside its borders, Iran has specialised in utilising proxies to deliver its revolutionary policies – think: Hezbollah. The civil war in Syria saw the coming of age of this aggressive foreign policy. Nowadays, Iran not only uses Shia militias (Iraq and Syria) or terrorist organisations acting globally (Hezbollah again) or rebel movements (Houthis and Ansar Allah in Yemen) but it spreads the ideology of its revolution violently and overtly via its (para)military personnel deployed to Syria, where it is actively engaged in the country’s civil war. Just last month, Morocco severed its diplomatic ties with Iran, over concerns that Tehran could have, via Hezbollah, delivered weapons to the Polisario Front, a group that Rabat considers an existential threat. In reality, these are strategic moves, symptomatic of Iran’s expansionism in the region. Unfortunately, we tend to miss this crucial aspect, because, to a large extent justifiably so, we focus on Sunni jihadism rather than the violence and terror sponsored and fostered by Tehran. This reading of the situation sees the likes of Al-Qaeda or ISIS as the only terrorist groups. It ignores Hezbollah, a Lebanon-based but Iran-organised terrorist organisation. As European foreign ministers negotiate the future of their relations with Tehran, they should not back away from these hard facts. By the same logic, when we talk about foreign terrorist fighters who went to join the war in Syria and Iraq, we only think of those who opted for the likes of ISIS or Al-Nusra and not thousands of Shia from Afghanistan, Iraq, Lebanon and Pakistan whose arrival boosted the numbers of the pro-regime forces in the very same wars. It is principally those links with terrorism that Iran’s Arab neighbours are so concerned about. Saudi Arabia and the UAE are geographically on the front lines of these proxy wars in which terrorists are thriving. One cannot understand the Arab coalition’s involvement in Yemen, or their boycott of Qatar, without considering the threat that Iran and terrorism pose to both countries. It is well-documented that Iran has been arming the Houthi rebels in Yemen, and that Doha is getting dangerously close to Tehran, with whom it shares a gigantic natural gas field. Moreover, while thinking of great power games in the region, what we too often miss is how Iran, supported by Russia, is manoeuvring to fill the void left by the American désintéressement. This vacuum-filling strategy is most tragically at play in Syria, where the joint involvement of Moscow and Tehran has largely contributed to the brutal death of hundreds of thousands of civilians. European leaders should be paying much greater attention to this. As the Kremlin and the Mullahs become more entrenched in the region, Europe’s own constructive diplomatic potential will be severely limited, especially if Europe fails to showcase better understanding for the concerns of both the US and the Sunni part of the region. And finally, Iran takes its disruptive role far beyond the region. We fail to link the immense European socio-political pressures related to mass migration with the Iranian-Russian backing for the al-Assad regime in Syria. Tehran and Moscow’s strategy to sustain the current political order in Damascus at all costs primarily hurts the Syrian civilians and the rebel factions still fighting in the civil war. At the same time, however, it has an impact on European politics, still haunted by the reality of the migrant crisis and the 2015-2017 wave of ISIS terrorist attacks in Europe. As new negotiations around the Iran deal 2.0 get underway, let us remember how damaging Iran’s expansionism has been so far, how it has threatened the fragile geopolitical balance that its neighbours want to protect. Let us include the more stable Arab countries in the negotiations because they have most at stake; and lastly, let us not be naïve: by its very nature, the Islamic Republic of Iran will continue to pursue its long-term imperial ambitions.